What was the starting point for Women in Motion, which was launched in May 2015? It all came out of a conversation between Thierry Frémaux, General Delegate of the Festival de Cannes, and François-Henri Pinault. The Festival was looking for a new official partner. As a group, Kering had never signed a partnership on this scale, but the tie-up made sense: Luxury and cinema have always shared a very special bond. Through actors and actresses, of course, and especially these cinema’s inspirational qualities they embody. Many of our brands have been involved with the film industry for years: Gucci, for instance, has participated in the renovation of some of the greatest pieces of cinema history, such as Visconti’s The Leopard or Fellini’s Dolce Vita, while Saint-Laurent has helped restoring Buñuel’s Belle de Jour and Brioni has given James Bond clothes to die for between 1995 and 2006. The crucial issue for Kering was to devise a partnership that would bring sense and visilibity, both for the Group and the brands. Simply putting a logo on a poster was not enough: as a Luxury group, we wanted to give it an extra touch of soul. 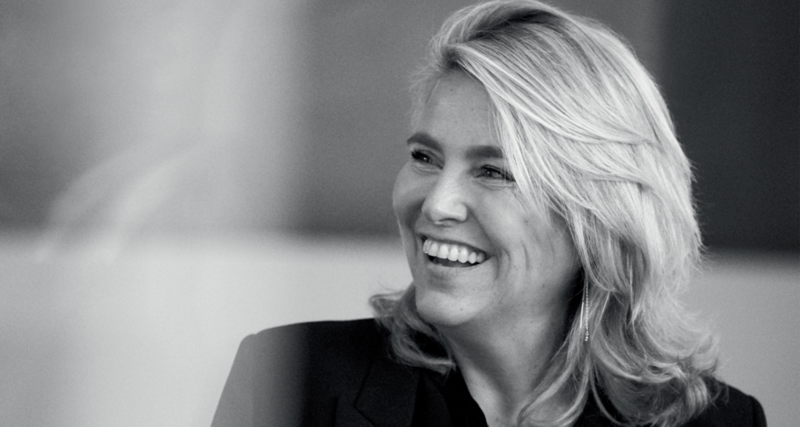 Besides, women have always been at the heart of the Group’s initiatives and commitments, with direct implications on management – Kering’s Executive Board is the most feminized board among CAC 40 companies – or through the Kering Foundation, which has been working for over a decade to combat violence against women. François-Henri Pinault seized this opportunity to take the fight to the cultural and artistic arena, especially since cinema’s influence on the way people think and behave has been amply demonstrated. With this in mind, we created Women in Motion to showcase women’s contribution in the film industry, raise awareness about the topic and so be part of the shift within the industry towards greater gender equality at every level. How did you design the programme? Women in Motion revolves around two key components: Talks and Awards. The Talks provide a forum for prominent figures, actresses, directors or producers, whose experience and view on the issue can fuel the discussion. From Jodie Foster to Frances McDormand, through Juliette Binoche, Salma Hayek Pinault, Chloë Sevigny or Agnès Varda, each Talk demonstrated the value and richness of these public hearings. The Women in Motion Award is given to an important person from the film industry whose career and example have advanced the cause of women. Since the programme’s launch, Jane Fonda, Geena Davis, Susan Sarandon and Isabelle Huppert have been given the Award. Meanwhile, The Young Talent Award is handed out to a rising female director and comes with financial support to the tune of €50,000, as an accompaniment for a movie project. This year, we are very proud to welcome back Gaya Jiji, winner of the Young Talent Award in 2016, whose first movie My Favorite Fabric has been selected in the Un certain regard competition. How does the programme relate to the Group’s Houses and their presence at Cannes? There are two different aspects to this. First, the partnership gives the Group the opportunity to convey its commitment to women and gender equality. Simultaneously, this gives our Houses special access to the heart of the Festival, where they can express themselves and communicate, for instance by getting celebrities red-carpet ready at their showrooms in the Majestic Hotel, or by inviting their clients to enjoy a one-of-a-kind red-carpet experience in the most exclusive way. This year’s Women in Motion Award goes to Patty Jenkins, filmmaker of Wonder Woman.What an amazing symbol! Up until now, the Award has gone to celebrated actresses, like Susan Sarandon and Isabelle Huppert, who have smashed the stereotypes associated with women in cinema through their examples and their careers. It is important that the programme should not be confined to actresses, because, whether they are directing or producing, whether they are behind the camera or in front of it, women come up against the same obstacles. In this sense, Patty Jenkins, filmmaker, screenwriter and producer, occupies a very symbolic role, because she has blown apart several clichés with her career. Not only is she the first women to direct a highly successful $100 million movie (Wonder Woman has been the most profitable feature in 2017! ), she also took charge of an action film, an entirely male-dominated field until now. By creating a character that is right, exciting and inspiring for women, she has simply created a landmark in cinema. It makes us very proud to give her this Award. How has the programme changed since it first started? Debating the place of women in cinema once a year during the two weeks of the Cannes Festival was already exhilarating. Over the years, the issue has become increasingly important. This year in particular, following 2017’s bleak revelations, our programme is at the core of debates. But, beyond Cannes, the topic is so important that since 2016 we have decided it could and should be talked about on an ongoing basis. With this in mind we began to organize talks in the US, in partnership with the Sundance Institute in Sundance and in New York, and then in China and Japan, and recently at the Lausanne R7al Festival, where Rossy de Palma was our speaker. We would like to expand Women in Motion beyond cinema to encompass other art forms, such as photography, which is why we are supporting the Madame Figaro Photo Awards as part of the Rencontres Photographiques d’Arles, an annual photography festival in the south of France. We may reach out to other cultural fields in the future. We are very mindful to stay consistent, meaningful and honest in our actions. In terms of results, what are you most proud of? A huge step forward was taken in 2017 when the silence was broken and the problems came to light. To an extent, the way that people are speaking out now confirms what we suspected from the outset and gives us the energy to go further on the issue. Many representatives from the film industry and politics have reached out to us spontaneously this year to congratulate us on the programme or to speak in the talks. 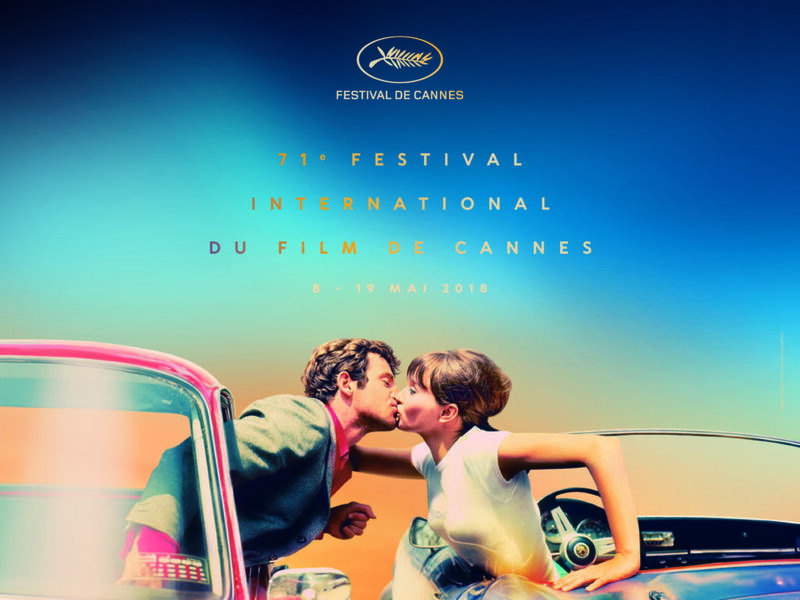 This started well before Cannes and shows that the industry’s main players understand and respect what we are doing, a point that has been reiterated by Thierry Frémaux and Pierre Lescure. History is being written before our very eyes, and it is important for Kering to keep pace with the changes underway in the world and to think about how we want to help push back the boundaries.